Are fear and self-doubt driving your life? Discover proven methods to take back control and supercharge your high performance, purposeful future. Do you feel like you’re a passenger in your own life? Do your goals always seem just out of reach? Have you put off your dreams for far too long? 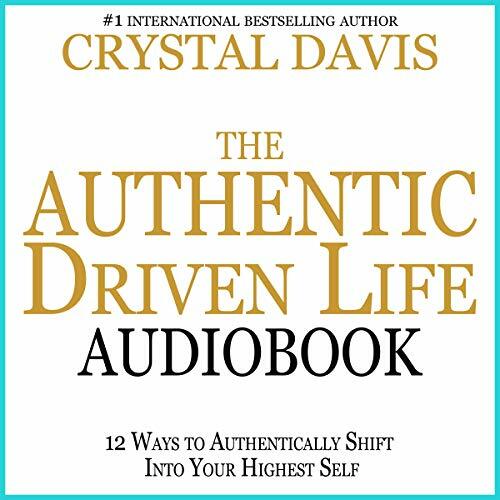 Author Crystal Davis is listed among the top 1 percent of personal transformation coaches worldwide. She’s counseled trauma survivors to live healthier lives and helped sales teams turn million-dollar profits. And now she’s here to give you the boost you need to reach your true potential. The Authentic Driven Life: 12 Ways to Authentically Shift into Your Highest Self provides you with the power to close the gap between where you are today and where you want to be. Through Davis’ guidance, you’ll identify and bust through obstacles standing in the way of your success. At long last, you’ll create your vision and chart your life's course towards a truly authentic existence. Davis’ inspirational story of overcoming domestic emotional and physical abuse, and much, much more! The Authentic Driven Life is a motivational audiobook to transform your reality into the future of your dreams. If you like guidance from elite coaches, advice you can implement today, and powerful results, then you’ll love Crystal Davis’ life-changing guide. Buy The Authentic Driven Life to harness your inner strength and realize your purpose today!